Keith and Judith Feay returned to Malawi at the end of June for three weeks. During their visit, Keith ran the first ever course in Malawi for CHAM elecrtical engineers responsible foe x-ray equipment. It lasted for 3 days and was attended by engineers from 14 hospitals. Such was the enthusiasm that it is hoped to run a more advanced, fault-finding course in the future. During their visit Keith was also able to service several pieces of equipment at Ekwendeni, Livingstonia and Embangweni resulting in good images being produced at each location. Primary Health Care (PHC) at Livingstonia works in many areas of social support (see Newslink Extra on Young Soko and the work of PHC) including Orphan Support and Mother and Baby Care. This is one of the projects that the Raven Trust seeks to support with your donations of baby clothes and blankets. The baby pictured here lost her mother within an hour of her birth, Her father had died three weeks previously. 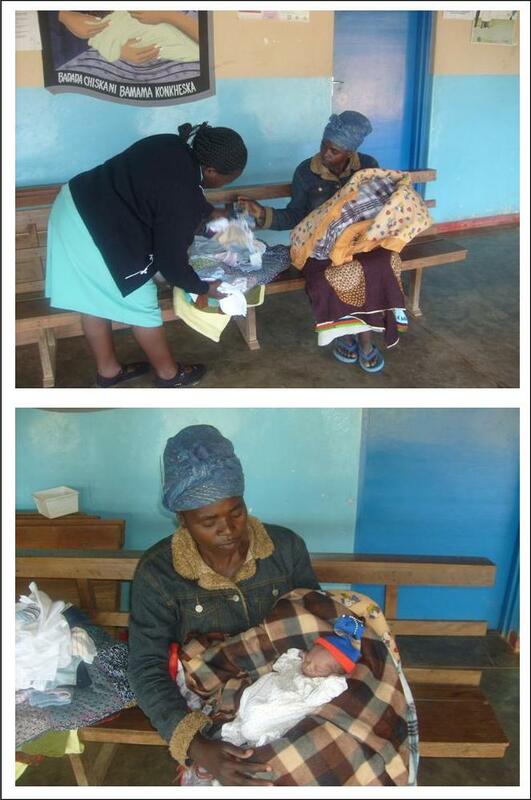 Mrs Soko was able to supply the child’s guardian with warm clothes and blankets for the baby along with milk and nutritional support. Mrs Soko would like all those who have donated baby and children’s clothes and blankets to know how deeply they are appreciated by those to whom they are given and how much excitement there is in her department when a Raven Trust container arrives with boxes of gifts from the UK. Although the foundations for the building were laid in March, the building itself was completed in just 10 weeks this summer. It was funded by Explorer Scouts from York. A group of 30 scouts and leaders visited Malawi for three weeks in July and August and painted the newly built clinic as well as undertaking various other projects. The building was quite a “Challis Family affair”, being designed by Daniel, and project managed by John and Chris. The result is an attractive building which is light and airy inside. 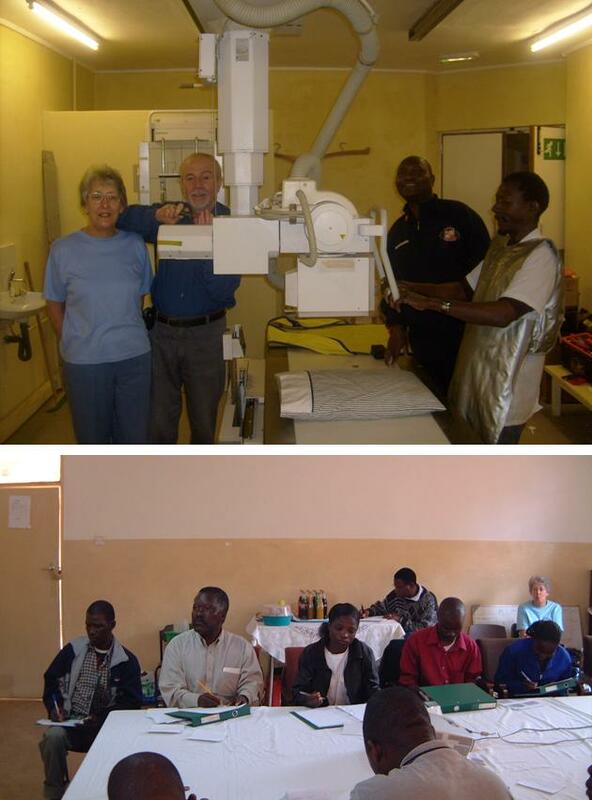 By the middle of August, Sue Kevan and her team of eye specialists from Focus on Malawi (see links) had moved in and were arranging their equipment. They met and helped many people on this trip at hospital eye clinics and clinics they held in rural and lakeside locations, including one man who had had a sliver of metal embedded in his eye for some time. They were able to remove the metal and his eye is healing well. 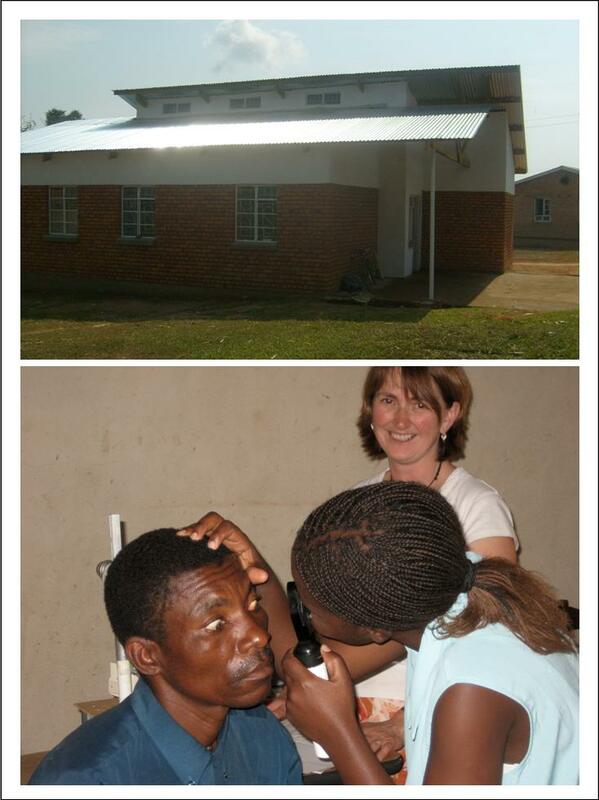 The Focus on Malawi team have also been raising money to help train a local ophthalmologist and the lower picture shows Angela (a trainee) examining a patient.